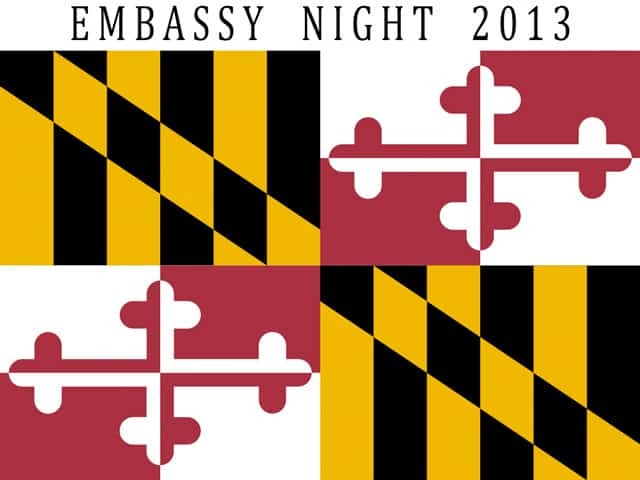 Philip Kapneck, Maryland’s Trade Ambassador, is to celebrate the twenty-fifth anniversary of Embassy Night in October 2013. The World Trade Center Institute, Legg Mason and the Maryland Department of Business and Economic Development host the event. Business leaders, executives, Ambassadors and senior Embassy representatives attend the VIP dinner each year. Many people acquainted with Philip Kapneck know him as Ambassador Kapneck: A Gentleman and A Statesman. Kapneck was appointed Maryland Trade Ambassador by Maryland Governor Mandel in the 1970s, and he moved to Brussels, Belgium, to achieve the State’s business development goals. The aim was to attract European business and industry to the State of Maryland. Governor Mandel’s International Department was well ahead of other States. They decided to send a representative to Europe to locate and bring companies and jobs to Maryland. After achieving outstanding success and recognition for his highly regarded work, Philip Kapneck was also sought out by the Federal Government to help the “Invest in the USA” program in Europe. The Ambassador’s work in helping companies to bring business and industry to the States is ongoing. He has maintained the post of Maryland Trade Ambassador for almost 40 years. After working in different parts of the world to attract business and industry to the United States, he is now based in Maryland. Over the years, Ambassador Kapneck was invited to many business events, speaking at some of them. The World Trade Center Institute’s Embassy Nights have often featured in his list of favorite events. These evenings are an important way to connect with state colleagues and business associates. Philip Kapneck and diplomatic corps at Embassy night. Philip Kapneck is very well known and popular with the Diplomatic Corps. The 25th Anniversary Embassy Night is another celebration with his International colleagues, business leaders and Ambassadors. At last year’s Embassy Night, Germany, the largest economy in Europe, was featured for the partnership with Baltimore/Washington International Thurgood Marshall Airport. That lead to two milestone events in July. The first milestone was the airport handling 2.22 million passengers, a record. The second came when Condor Airlines (Germany) chose the airport for its new mid-Atlantic hub. The new service features direct nonstop flights between Baltimore and Frankfurt. People from the diplomatic corps said they were very pleased to see Ambassador Kapneck again after they had been overseas. It was said that the Ambassador would soon celebrate 40 years, working for the state. That will be a very important thing to celebrate. Many people attend the Embassy Night event as often as they can, because it is a great way to maintain business relationships. 26th Embassy Night in Washington D.C.
More information can be found on the official Trade Ambassador Kapneck website. Are There Any Low-Risk Miners in Today’s Minefield?